When Apple launched the iPhone 6 and iPhone 6 Plus last year, the latter received Optical Image Stabilization (OIS) whereas the former did not. That trend has continued with the iPhone 6s and iPhone 6s Plus, with the new Plus handset now capable of using OIS when recording video as well, while the iPhone 6s is still only capable of digital stabilization. The big question that such a thing brings about is obvious: just how much of a difference does OIS make to video? We already know that the improved stabilization capabilities of the iPhone 6 Plus made it a better camera for shooting stills, especially in low light conditions, but what about the iPhone 6s Plus, and what about with video? While Apple has obviously touted the quality of video recorded on the new handset, you never really know how good it is until you see video recorded by someone that isn’t the company behind the phone itself. With iPhone 6s and iPhone 6s Plus now on sale, some people have been comparing the new handsets with each other as far as stabilization is concerned. 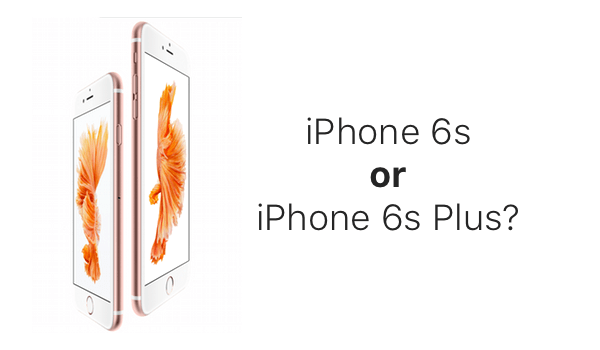 Which is best, the iPhone 6s with its digital image stabilization or the iPhone 6s Plus with its optical solution? The video, released by Giga Tech YouTube channel, should give you an idea, and if you take a lot of video or perhaps take video of your kids then the extra stabilization capabilities of the iPhone 6s Plus may well be worth the extra expense and tradeoff in pocketability. Check the video out in 4K resolution for yourself, but ask yourself this question: if you have the choice of which iPhone to get and think there may be a time when OIS makes its presence known, why wouldn’t you go for the iPhone 6s Plus? Assuming it’s not too big for your hands. Or your pockets! This entry was posted in iPhone and tagged 6, 6 plus, 6s, 6s plus, camera, image, iphone, ois, optical, stabilization. Bookmark the permalink.